Lincoln has an amazing selection of live summer music festivals that go along with warm summer nights and family-friendly entertainment. Local and international artists; classical, rock, blues, jazz or country; in a majestic church or under the stars, we have them all. Some of these festivals are only 10 years old and some more than 100. It’s a musical summer in Lincoln, and the community supports the good time. Now in its 12th year, this free summer concert series takes place in lovely Stransky Park in the Irvingdale neighborhood at 17th and Harrison Streets. Local musicians are featured in 12 evening concerts that start in early June and end in mid-August. Each performer is unique with musical styles ranging from big band to bluegrass, blues, country and rock. Audience members bring blankets and lawn chairs and friendly dogs are welcome. These concerts are sponsored by KZUM radio station along with generous contributions from many local businesses. Learn more at KZUM.org. One of the capital city’s biggest events, Celebrate Lincoln, is a two-day cultural festival that combines music and dance with ethnic foods, unique merchandise and fun activities for kids. Staged in early June in the festival space just north of the Pinnacle Bank Arena, the festival brings in both national and local acts. It’s free from 11 am to 5 pm with plenty of family activities. At 5 they collect $10 for the concert. The Lincoln Community Foundation Gardens at 1415 N Street are a charming oasis in downtown Lincoln. They are even lovelier each Wednesday at noon, from late May through August when free concerts are held. A variety of local bands set up under the gazebo to entertain music lovers as they enjoy lunch or munch on popcorn or ice cream from the nearby snack stand. Bands vary from year to year, but the eclectic mix always includes a little blues, a little country, some classic rock or adult contemporary, and everything in between. Stay up to date on the Downtown Performance Series by liking the event on Facebook. Jazz lovers look forward to the month of June, when free concerts are staged on the lawn of the Sheldon Museum of Art. National and international artists perform. This event has been going on for over 25 years. The Sheldon Museum of Art, the University of Nebraska-Lincoln, University Program Council and other benefactors sponsor the very popular event. Jazz in June is a wonderful way to indulge your love of all things jazz…or to experience it for the first time. Come early to shop the farmer’s market and other local vendors, then spread your blanket or set up your lawn chairs for an evening of great music. Find out who’s playing in 2017 at JazzInJune.com. Founded in 2001 by well-known pianist Dr. Ann Chang, the summer Meadowlark Music Festival makes classical chamber music accessible to everyone. World-class artists perform chamber music in a variety of settings—all comfortable, family-friendly places to take in a concert. Every year Lincoln sees Meadowlark Music Festival performances at the new Tower Square, First Plymouth Church and Southwood Lutheran Church. Children under 16 are always free, and a subsidized ticket program means most families can attend without overshooting their budgets. The talented, international musicians who are invited to play the festival also perform free at schools and cultural centers, and they teach Master Classes for high school students at the Sheldon Museum of Art. For more information, visit www.meadowlarkmusicfestival.com. The Lincoln Municipal Band sets up in the Shildneck Memorial Bandshell in the heart of Antelope Park for a series of seven free concerts each summer, just as they have since 1907. Thousands of locals pack their picnics and lawn chairs every Sunday through July and August for a fun, free concert. Just to keep things interesting, musical themes change each week. In 2014, the Lincoln Municipal Band celebrated America, played great movie themes, a salute to veterans and much more. Learn more about this series and the band at artsincorporated.org. 15 comedians and a film festival in 9 different venues in downtown Lincoln. Nationally renowned acts and local groups are always in the line-up, and the venues are a mix between time-honored stages like the Zoo Bar, Duffy’s Tavern and Yia Yia’s, and open-air settings such as Tower Square. An all-access pass is about $30 and allows you to hear all sorts of music for a very reasonable price, thanks to local sponsors. One-day passes and individual show tickets are also available. Pinewood Bowl, located in Pioneers Park, is an outdoor theatre ringed by a forest of tall pines. Traditionally, it hosts a local musical each summer, but starting in 2012, six hugely successful summer concerts were added. 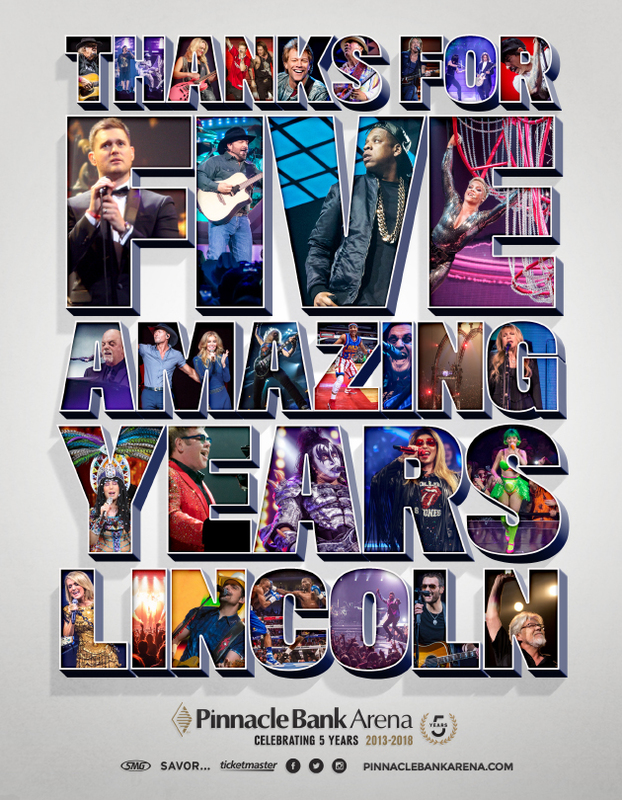 In the recent years, the 5,000+-seat theatre saw performances by Ringo Starr, ZZ Top, Hozier, Garrison Keillor, Jim Gaffigan, Steve Martin, Styx, Loverboy, and others. Originally, Pinewood Bowl was built in the 1940s to hold open-air church services for the airmen stationed at Lincoln’s air base and Easter services are still held at Pinewood Bowl every year. This folk festival is a showcase for the unique cultural value of folk music. Held annually since 2002, the festival features folk music with roots ranging from Celtic to bluegrass, singer-songwriter to folk-rock. An old schoolhouse converted to a community center in rural Lancaster County is the perfect venue for this traditional music. This year’s theme was Americana. Visit plainsongfestival.com for more information.